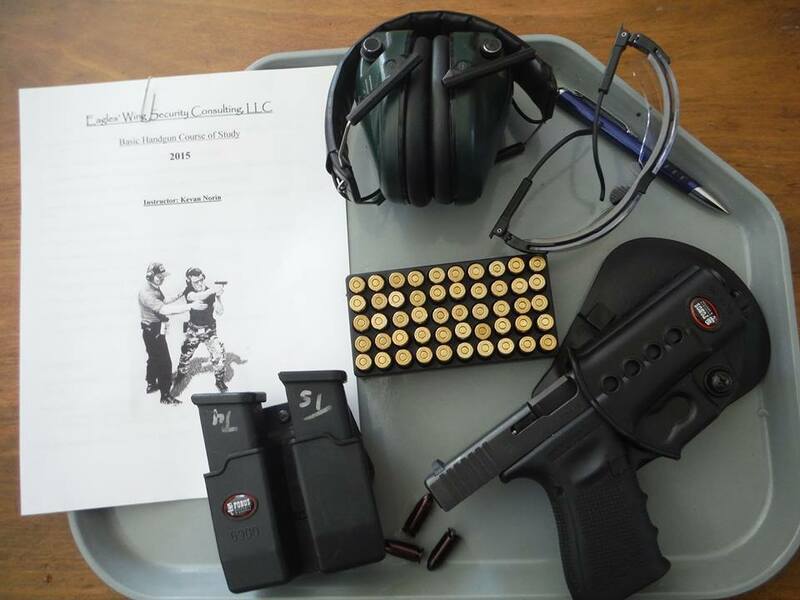 Basic Handgun Part 1/4 — Eagle's Wing Security Consulting, LLC. BASIC HANDGUN PT 1/4. Part One of the eight hour course. (Pre-requisite: Eagleswing CCW Class) Learn safe gun handling, basic marksmanship, developing the draw, reloading. BYO Semi-auto handgun, minimum 50 rds ammo, eye and ear pro, a good strong side hip holster. Comfortable clothing. I have two Glock 9mm's for those who have not purchased their own weapon.